I think I was gearing up Akron and push myself out little too hard to ensure myself. The training shouldn’t be hard now, it should be easy to keep the “condition”; HOWEVER, after this workout, I know what my limits are - I was running hard in the workout and it was two days after a semi-hard half marathon. I know I’ll be able to hold my pace consistent in marathon as I usually do. September 15, 2011 – I woke up with sore calves and hammy; so I decided to run in the late afternoon, so I can get enough time ice down. I ran for 56:38 from office to Mt. Vernon trail, and then back from Towpath & Parkway; the total run is about 8 miles. 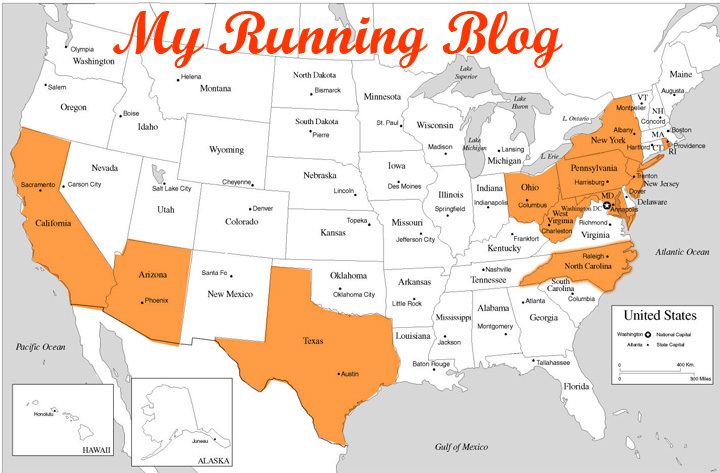 September 16, 2011 – I made today as an easy day and kept legs off from running. 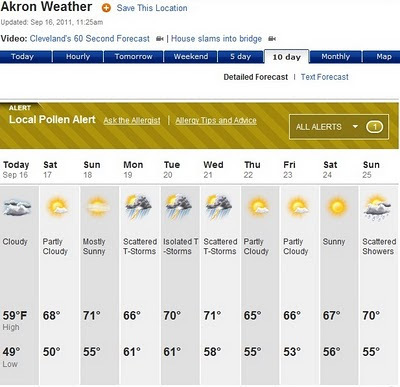 It is only eight days from race day (09/24) and it currently forecast sunny sky with lower 50s degree in Akron. I hope the weather condition remain as now.